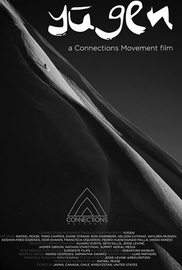 "Yūgen is a 3-year borderless mountain-based documentary film that explores the connection we as mountaineers and environmentalists share with the natural world. Following the journey of snowboard mountaineer Rafael Pease and crew as they travel throughout the corners of the world, trudging gear into unseen locations the crew works tirelessly to capture the true essence of being one with the mountain. Experiencing the most unique untold stories of the ecological conscious that resides deep in the soul of the mountains, told through the perspective of legendary humans who coincide in these very places. Finalist - Festival Internacional De Cine Con Medios 2018. Official Selections 2018: Freeride Film Festival, Winter Is My Love, Winter Film Festival, Splitboard Film Festival, Festival Cinema Muntanya, EHO Mountain Film Festival, Arctic Open Film Festival, Pakistan International Film Fesitval, Rome Independent Prisma Awards."